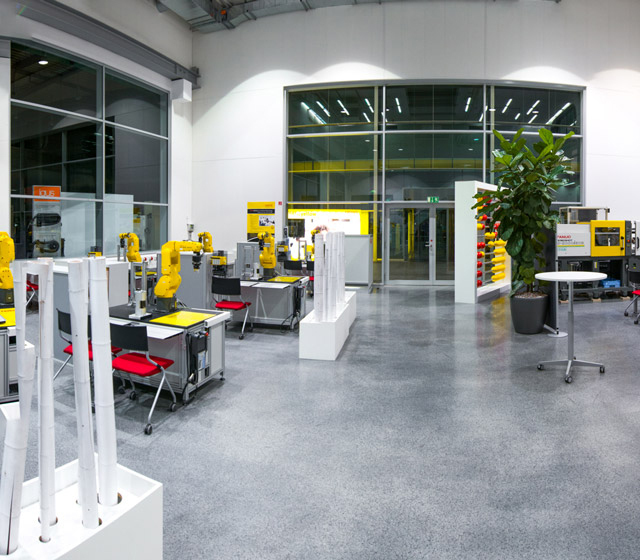 Whether you are a student, machine operator, programmer, maintenance specialist, machine tool builder, system integrator, line builder or designer, the FANUC Academy offers everything you need to upskill yourself and increase productivity – from introductory programs for beginners through to courses tailored to the needs of expert users and specific applications. Whatever your FANUC product group, whatever your rival application, the FANUC Academy offers a wide variety of training programmes to meet your needs. The pay offs are huge – not only in terms of increased efficiency but also additional benefits such as better safety and reduced downtime.